Single use plastic bag bans and taxes are becoming increasingly popular with governments across the world (though unpopular with most store owners) and now Italy is gearing up to implement their own. In other parts of the world, these types of regulations span from the very stringent, you can’t use them at all bans of San Jose, California to the you can use them if you want to pay taxes of Washington DC, and we’re impressed to see that Italy is leaning towards the stricter end of the spectrum. Starting next week, the whole country will ban all conventional single use plastic bags and mandate that all new single use bags be biodegradable. The ban was originally meant to go into effect one year ago — they postponed the ban to allow industry to get ready for the change — but when the ball drops for 2011, they will officially start their quest to eliminate the roughly 20 billion bags that Italians use each year. With Italy’s population currently at roughly 57 million people, that means they use about one plastic bag per person per day each year. It also means they consume about 25% of all of the plastic bags used in Europe each year, despite having only about seven percent of the European population. Opponents of the new law in Italy say that biodegradable bags don’t hold up to the standards used for conventional plastic bags, meaning they break easily – really easily. We’re hoping that the inadequacies of the single-use biodegradable bags will steer Italians toward shopping bags that can be reused instead of thrown away. In a study done last November 73% of Italians asked reported that they would use alternatives to single-use, biodegradable bags when shopping once the ban goes into effect. Though skeptics are wary of this ban taking hold — fines are low and oversight might be scarce — it seems this ban has Italians headed in the right direction before it even starts. Single use plastic bag bans and taxes are becoming increasingly popular with governments across the world (though unpopular with most store owners) and now Italy is gearing up to implement their own. In other parts of the world, these types of regulations span from the very stringent, you can't use them at all bans of San Jose, California to the you can use them if you want to pay taxes of Washington DC, and we're impressed to see that Italy is leaning towards the stricter end of the spectrum. 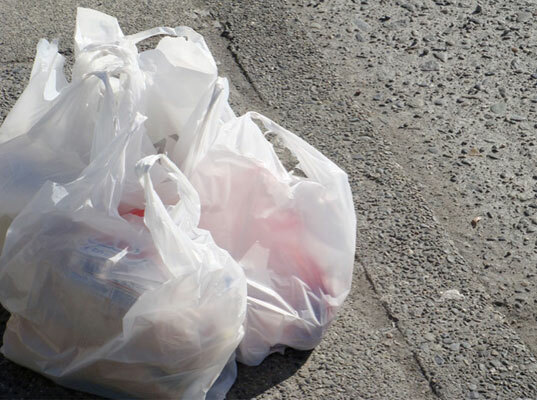 Starting next week, the whole country will ban all conventional single use plastic bags and mandate that all new single use bags be biodegradable.